That awkward moment when you’re wearing Nikes and you just can’t do it. I know that feeling well. You get the gear that all the healthy, fit people have and you think that everything else will fall into place. You buy all the products that all the beautiful people have and you still have that wedding day zit. So what’s the problem? Well, this life isn’t quite as cookie cutter as we want it to be. Achieving balance is something that is a unique and personal journey for each of us. Fortunately for us, we can tap into ancient wisdom to help us forge our present day path toward balance. I’ve been totally enthralled by Ayurveda recently. 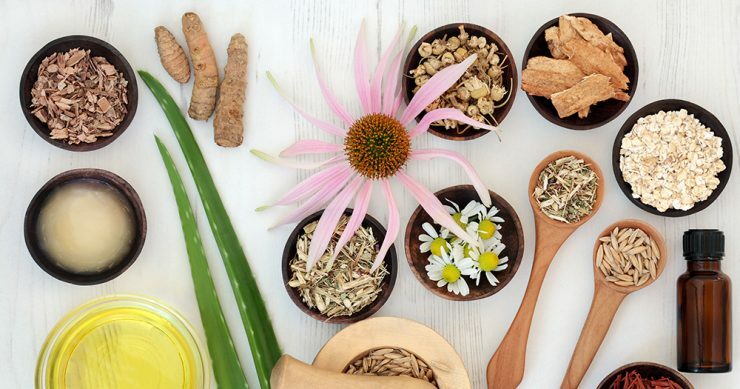 Ayurveda is a personalized system of medicine that seeks to balance our unique mind-body connection in order to attain optimal health. That sounds like a mouthful, but I assure you thousands of years of practice have given us all the tools to succeed. Ayurveda places us in three different categories called doshas. If your dosha is out of balance, ailments persist. The main goal of Ayurveda is to balance your dosha. With knowledge of your dosha, you can make personalized choices that directly benefit your overall health. So what’s your dosha? These links will help you find out. Just take the quiz and answer to the best of your ability. After taking one of the dosha quizzes above, you might notice that you are a combination of two doshas. Don’t worry. The following tips can be combined so that you can tailor your beauty routine to suit your specific needs. No matter what your unique dosha is, we all benefit from changing up our routine to suit the season. The year breaks into three seasons: vata season, which goes from late fall into early winter; kapha season, from the coldest part of winter into spring; and pitta season, which includes the hottest, longest days of the year—from late spring into early fall. Example— You may find that your skin tends to be flaky or dry during kapha season. During this season, you should adjust your routine to incorporate products that counterbalance the cold air of winter. Characteristics: Thin, delicate, and almost transparent. Prone to dryness, flakiness, dark spots, and premature fine lines and wrinkles. Usually does not have clogged pores. You may also have dark under eye circles. Overall: You are normal to dry. Use gentle cleansers so you don’t over dry or strip your skin. Moisturize immediately after cleansing to keep skin hydrated. 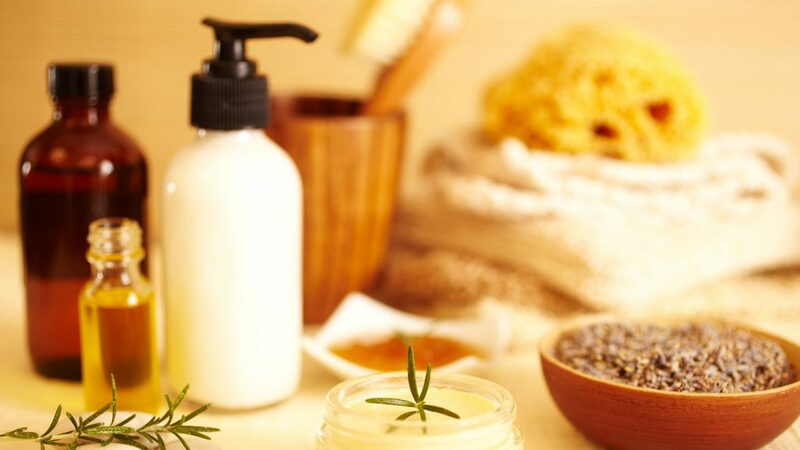 Look for warming, deeply moisturizing products that will provide your skin with essential fatty acids. Think coconut, almond, sesame, and olive oils along with shea butter and honey. Protect your skin from the environment—wear scarves, hats, and gloves. Characteristics: Clear and radiant, but can occasionally be irritated and red. Easily sunburned. May have freckles and moles. At risk for sensitive skin and oily skin. May have congested pores in the T-zone. Overall: You have combination, sensitive skin. Stay away from chemical-filled products that can irritate and inflame your skin. Choose natural and pure products made with plant-based extracts. You want ingredients in your skin care that calm and balance hydration. Look for coconut, sunflower, grape seed, licorice root, lavender, rose, and tea tree. You can also use soothing herbs like neem, sandalwood, and thyme. This applies to everyone, but especially to you—protect from the sun! Characteristics: Few to no wrinkles for you! You have smooth, moist skin, but that means you may also have large pores and oiliness. Prone to oily skin, blocked pores, and dull or pale skin. You may also have puffy eyes, and suffer from rashes. Overall: You are normal to oily. Make sure you thoroughly clean your skin, especially at night before bed. Never go to bed with your makeup on. Think about your pores! Resist the temptation to overly dry your skin, as that will cause a rebound oily effect. Instead, choose gentle cleansers and alternate for deep cleaning and exfoliation. Choose moisturizers that are light but nourishing. Look for invigorating herbs like rosemary, yarrow, peppermint, geranium, citrus (lemon and orange), and sesame. The following homemade scrub and mask recipes are broken down by dosha. Always remember to use dosha-appropriate oils as part of your beauty routine.